both my peeps love to travel to new places and i wanted to really help pollyanna understand this year how big the world is, but how small it can be. it is somewhat of a theme for our learning this year as we are doing ancient civilisations, exploring cultures through language, and making the most of the london olympics, not to mention planning a trip to explore more of south east asia ... yes, the world is definitely our focus! i figured some time zone clocks would be a good addition to the classroom with the maps we already have on the wall. i went shopping for this project over the weekend and found this COOL clock. 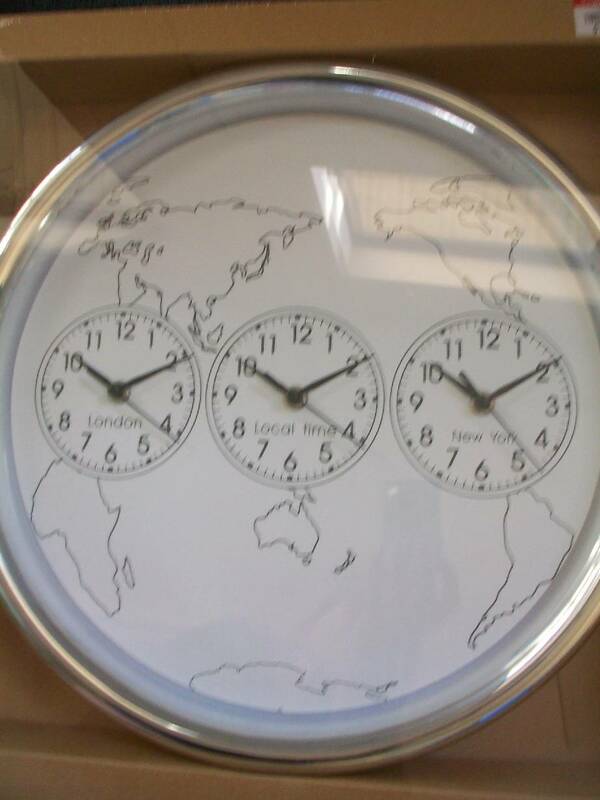 i figured rather than buy multiple clocks this would totally work! 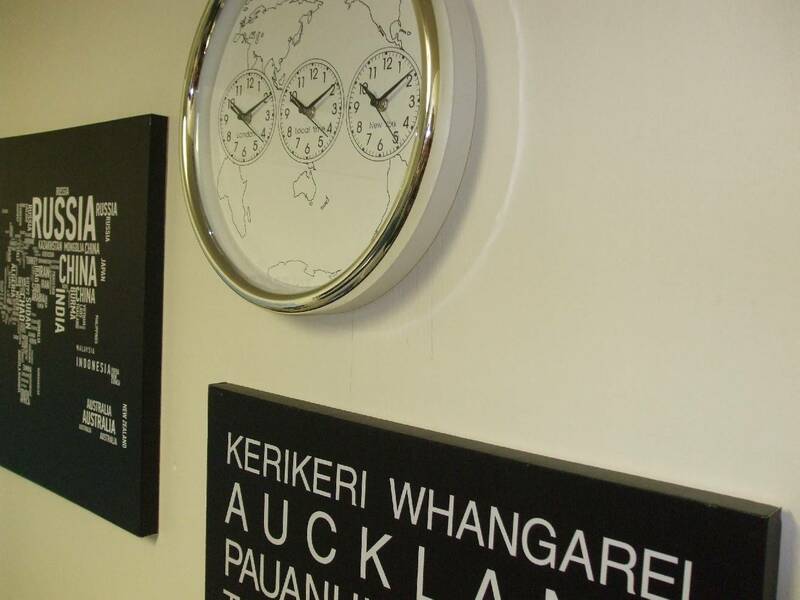 who needs three clocks when you can have one! then while looking for so cheap canvases for my artist and inventor in focus, i found two awesome canvases that totally sealed the deal with regards to the theme for my classroom walls! such cool canvases for "our world" themed classroom! tonight steve and i decided we should carry out this creation and after some debating about how they should be arranged on the wall, we ended up with this layout. 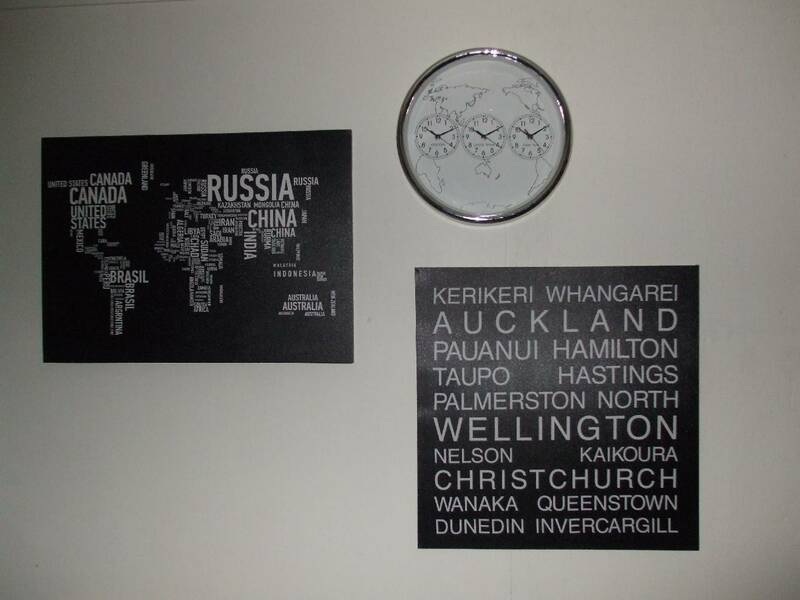 That world map canvas is brilliant! 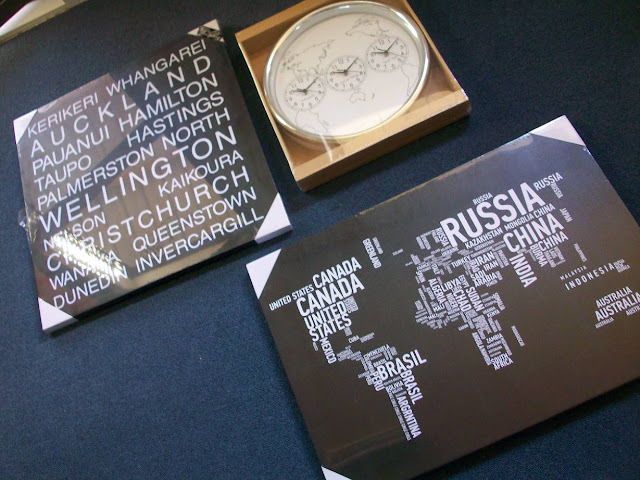 Such a cool idea - a very visual way to remember when countries are - this would have been good for me as a kid. I love the canvas with the words as countries! Too stinkin cute!